In 2019 we will continue to see the cruise industry evolve and expand with a record 24 new cruise ships set to launch, ranging from extra-large (XL) megaships to expedition ships and luxury vessels. This expansion represents huge job opportunities for crew and officers from all over the world and in fact it is reported that the industry needs to recruit 80,000 new crew per year for the next decade, to replace personnel that retires or leaves, and to man the new ships that are being launched. The new ships will also require highly skilled seafarers who can manage the technical advancements that we are seeing. Of the 24 new ships being launched in 2019, nine of these will be so-called ‘megaships’. Mein Schiff 2 from TUI Cruises will accommodate 2,900 guests, the MSC Bellissima which is being delivered next month from MSC Cruises will host up to 4,500 guests and will feature a digital PA in every cabin to assist guests in seven languages, followed by the MSC Grandiosa which will host up to 4,888 when it is launched in October. The largest cruise ship to launch this year will be Smeralda from Costa Cruises – the ship will weigh 183,900 tons and accommodate an astonishing 5,224 passengers! 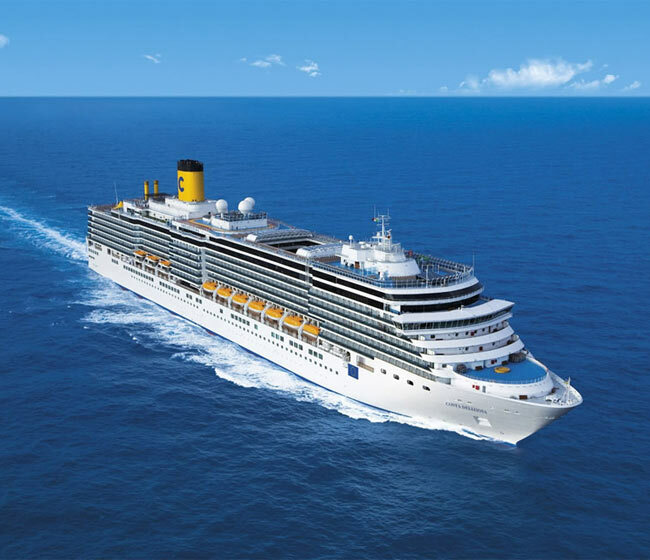 The slightly smaller Costa Venezia (4,232) also debuts in March. Other XL ships include Spectrum of the Seas from Royal Caribbean International, Sky Princess from Princess Cruises, Encore from Norwegian Cruise Line and Panorama from Carnival Cruises. Beyond 2019 there are four new megaships on order for Celebrity Cruises, MSC Cruises has ten new large cruise ships on order, and Carnival Cruises will launch the Mardi Gras which will be the largest carnival ship ever constructed and will even feature its own roller coaster! If you are looking for a new cruise ship job for the new year, All Cruise Jobs is the leading recruitment board for the cruise industry and features all of the latest job vacancies. You could also attend one of the Cruise Job Fairs to meet the recruiters in person and land your dream job! Our first event takes place in Munich in February 2019 – visit the website to register for your free ticket.